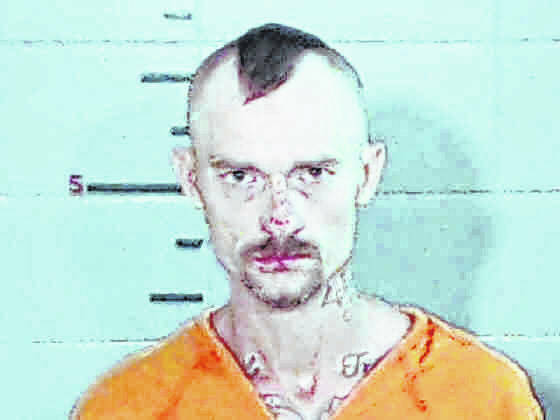 GALLIPOLIS — James Allen Drummond, Junior, 37, of Gallipolis, was sentenced to life in prison Tuesday in the Gallia Court of Common Pleas by Judge Margaret Evans after he pleaded guilty to the crime of aggravated murder which resulted in the death of Robert Thivener, of Gallipolis, in July of last year. According to courtroom discussion, Drummond is not eligible to apply to a parole board until after 20 years of his sentence have passed. Due to the nature of the crime, it is considered an unclassified special felony and does not fall into the standard numeric formula, said Evans. During courtroom proceedings, Drummond admitted to killing Thivener on July 30, 2017. No victim statements were read or given during the event. A plea deal had been reached, resulting in Drummond’s conviction. Two alternate theories of murder were dismissed as well as an aggravated robbery charge, a first-degree felony, and tampering with evidence, a third-degree felony. Holdren said that sometimes one could not predict what a jury would decide during a criminal justice proceeding. According to Holdren, on July 30, 2017, Drummond was in need of methamphetamine. He had lost his job two to three days prior to the death of Thivener. A relative of Drummond was reportedly dating Thivener at the time and the victim and defendant had reportedly known each other for an extended period of time. Law enforcement investigation revealed that Drummond arranged a ride with two other individuals, including his sister Izail, to travel to a residence where Thivener would be present. A bag was taken with “coveralls,” the prosecutor said, as well as a claw hammer. The original emergency call to report Thivener’s death by the individual who discovered him described the hammer strike as a gun shot, said prosecution. According to prosecution, over the course of the investigation nothing revealed that an accompanying passenger or the driver knew what was going to take place when the Drummonds met with Thivener. Holdren said surveillance footage was pulled from nearby schools and businesses to create a timeline of Drummond as he traveled Gallipolis before he disposed of the hammer in a dumpster off Third Avenue. Law enforcement was not able to retrieve the hammer as it was reportedly buried in the dump by the time officers watched the surveillance footage. However, they did find the coveralls, said Holdren. The coveralls had Thivener’s DNA on the outside and Drummond’s on the inside. Izail has pleaded guilty to complicity to involuntary manslaughter, complicity to aggravated robbery and complicity to tampering with evidence. Evidence, prosecution said, had revealed that James had prepared to go to rob Thivener with a hammer, gloves and coveralls. Evidence did not reveal that Izail intended to kill Thivener but to take his money, said prosecution. Izail has yet to be sentenced. Holdren thanked Ohio BCI for efforts made, officers who assisted in the investigation and manhunt, as well as Gallia Sheriff’s Office Lead Detective Chris Gruber.